1.New features of insect pest management in 21st century. 2.Diversity and evolution of CYP6 family in insects. 3.The applications of methods for molecular markers in sericultural. 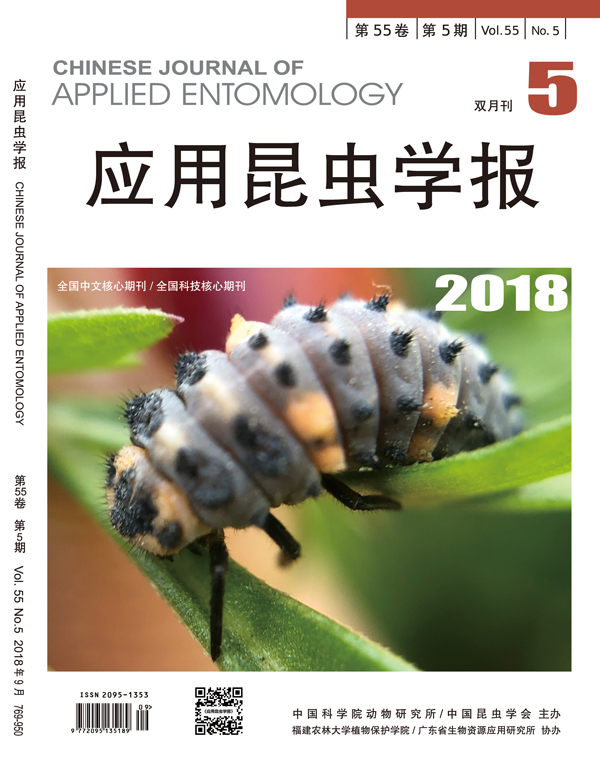 4.Progress of applied research on multicolored Asian ladybird beetle. 5.Regulation and genetic basis of summer diapause in insects. 6.Influence of resistant rice varieties to the population parameters of Nilaparvata lugens and Sogatella furcifera. 9.Occurrence of Dinara combusta and its control. 10.Effect of temperature on the population increase of corn leaf aphid,Rhopalosiphum maidis. 11.Nesting behavioral of seed harvester ant Messor aciculatus in the desert ecosystem of northwest China. 12.Population dynamics of Bemisia tabaci on different host plants and its chemical control. 13.Bionomics of Perissopneumon xyliae and life tables of its natural population. 14.Influences of induced resistance of pine on growth and development of the larvae of pine caterpillar. 15.Changes of some biochemical estimates in the hemolymph and body wall of Dendrolimus punctatus infected by Metarhizium anisopliae. 16.Efficiency of organophosphate insecticides to Liriomyza sativae. ZENG Yi-Liang，WANG Da-Sheng，QIN Xiao-Wei，REN Lian-Kui et al. 21.Improvement in grinding tissue during extracting DNA from small insects. 22.A simple method of rearing Diglyphus isaea with Vicia faba.